When you know, you know. 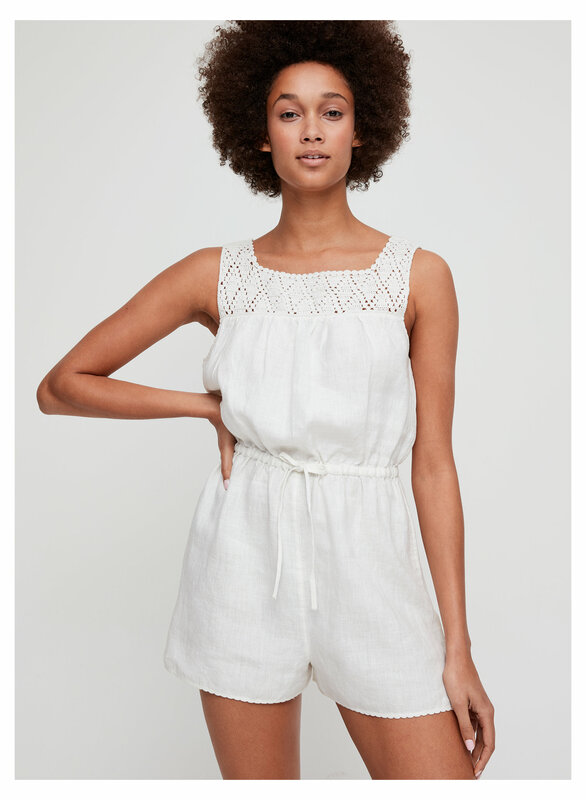 This romper has a blousy top, cinched waist and crochet square neckline. 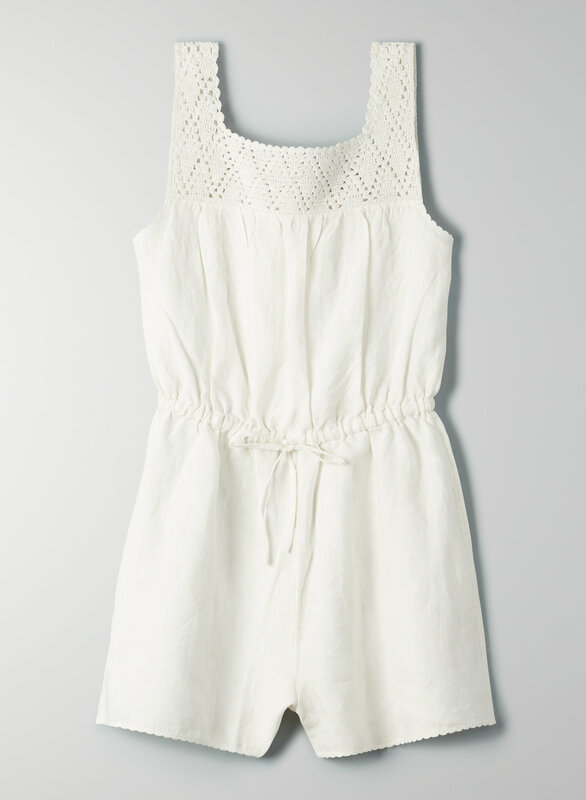 It's made from 100% linen fabric.